Vodafone B1000 is a new 4G LTE router for Vodafone. Behind the router, there is a stick indicating the model number of “B390s-2” and the manufacturer company Huawei. The noble, handsome white case houses an LTE modem router with WLAN. Following you will find all the important details including specifications, characteristics and overview about Vodafone B1000 4G Router. Technically speaking, the Huawei B390s-2 is in the B1000 series. In the industry it is common to “brand” hardware from original manufacturers but with their own logo on the appearance. Also the appearance may vary slightly from the “original”. The integrated 4G-LTE modem B1000 is only compatible with the LTE band around 800 MHz. More specifically, it can on the band of 832 MHz – 862 MHz send (upload) and in the band of 791 MHz – 821 MHz receive (download).The supported bandwidth is 10 MHz. So the router is only unique for rural use up to 50 Mbit/s and is not suited for urban use. The chipset is “HiSilicon” (Hi6910), which is HUAWEI own chipset. Unfortunately, the router does not have a PBX. In the LTE tariffs from Vodafone, there is no telephone available, which is of course no problem. However, the provider also offers complete packages with phone line and optionally with fixed flat rate. Customers who order the version with telephone, will note get the B1000. 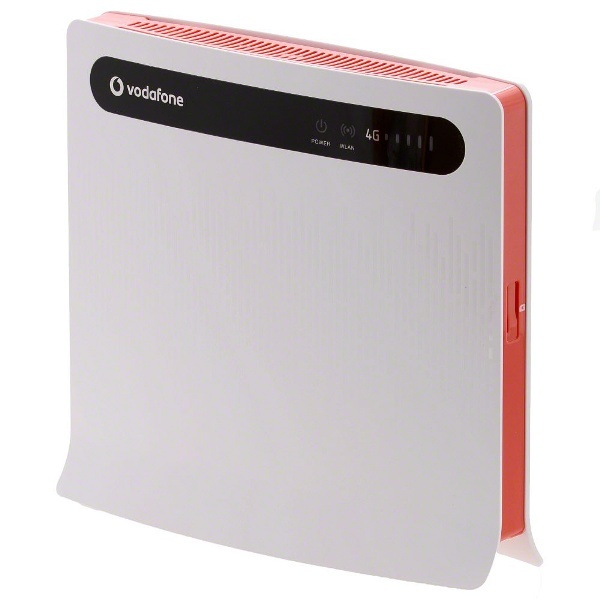 Alternatively, a pure LTE router together with a conventional DSL router is supplied, which is named Vodafone B2000. 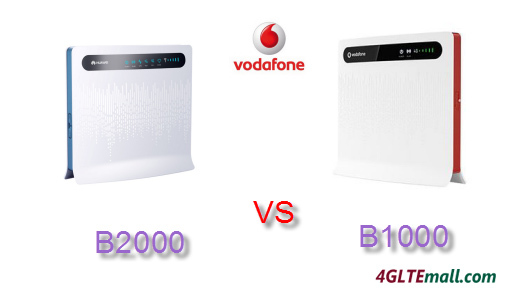 The Vodafone B2000 is upgraded from B1000, which is not only better in network coverage, but also the functions and performance. 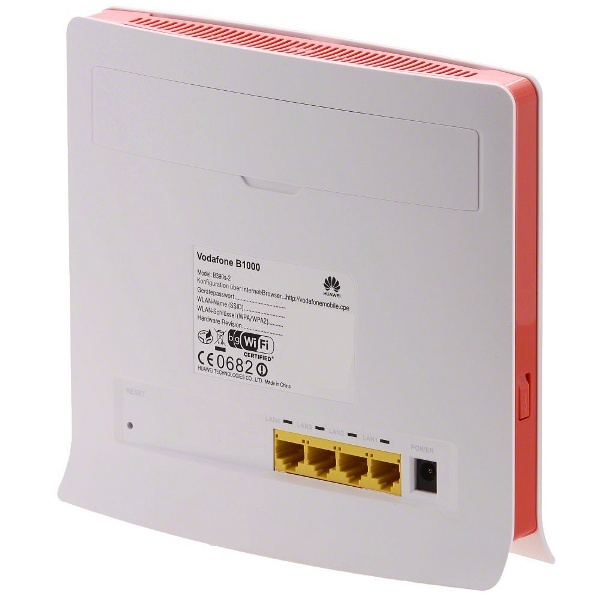 The B1000 provides 4 LAN ports and of course Wi-Fi functionality for setting up a home network. The wireless network provided can be operated with standard 802.11b and 802.11g. With up to 54 Mbps integrated into the network, it can therefore support a maximum of 32 devices wirelessly (eg, laptop, internet radio). The latest “N” standard is not supported yet, which is a shame. Neither dominates the B1000 the spark in WLAN operation at 5 GHz. The LTE B2000 Router provides significantly more. And WEP, WPA and WPA2 encryption is possible options. The Vodafone B1000 is curiously almost twice as heavy as the technically virtually identical Telekom Speedport LTE. The weight is 900 grams, if user worry about the place to lay this device, here are the exact dimensions: 177 x 193 x 34 mm (width x height x depth).